Calçots with romesco sauce, a winning combination! 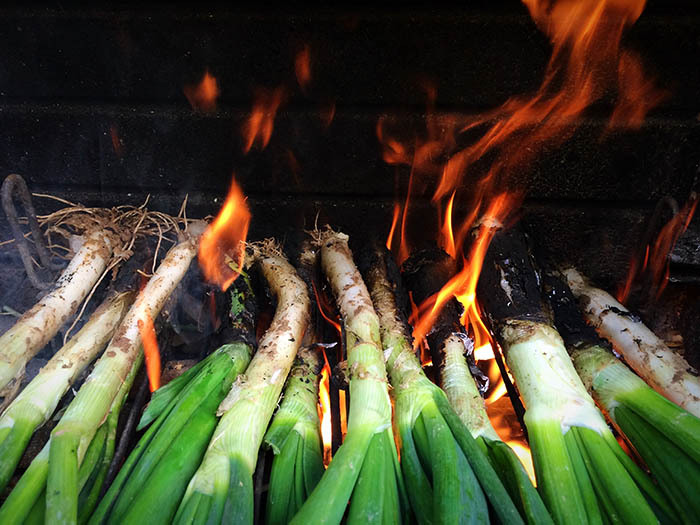 The first time you try calçots you won’t know whether to love them or hate them… but these long, thin sweet onions really come to life when served with romesco sauce! Most people end up coming back for more. Calçots are cooked over hot coals and then served with a traditional sauce made with tomatoes, almonds, hazelnuts, red peppers, bread, garlic, rosemary, salt, vinegar and olive oil. They are usually followed by a selection of barbecued meat and topped off with a choice of delicious desserts, including, of course, Catalan crème brûlée. Now we’ve whetted your appetite, all you have to do is decide whether to throw your own calçotada at home or head out to a restaurant. The first option is great for barbecue fans keen to spend a day with family and friends. If you’d rather not get your hands quite so dirty and have a full menu of delicious food served up to you at the table, check out our selection of the top places for a calçotada in Catalonia. Bon profit! Get ready for a real feast. After a calçotada set menu for lunch, you won’t be wanting much for dinner! El Jardí de l’Àpat (Carrer de Albert Llanas, 2, Barcelona) If you want to eat calçots while taking in the best views of Barcelona, this is your restaurant! Very close to Park Güell, for just €32 you’ll get a selection of barbecued meat, tomato bread, crème brûlée or nougat ice cream with hot chocolate for dessert, and of course a tile piled high with calçots (you can even come back for more)! House wine, soft drinks, cava, coffee and water are all included. Antic forn de Villaroel (Carrer de Villarroel, 182, Barcelona) A great option for a calçotada right in the centre of Barcelona at an unbeatable price. For €29 you get piles of calçots with sauce, tomato bread and a main course of mixed grill with pork sausage, lamb, beans and artichokes, or grilled sirloin steak with Roquefort sauce or fish of the day. Those with a sweet tooth can choose from crème caramel, mel i mató, ice cream or crème brûlée for dessert. Drinks, coffee and herbal teas included. What more could you ask for? Can Rectoret (km 4, Carretera de Sabadell, Santa Perpètua de Mogoda, Barcelona) Only half an hour from Barcelona is one of the best restaurants for calçots: a 16th-century Catalan farmhouse known as Can Rectoret. It’s also one of the few places to offer a choice of basic calçotada (€30) or the full deal (€36). They both include calçots, a wide selection of barbecued meat, drinks and coffee, toast, romesco sauce, all i oli garlic mayonnaise and the house speciality: crème brûlée. The full deal also includes white beans, a glass of cava and all the calçots you can eat! Casa Fèlix (km 7, Carretera N-240, at the entrance to Valls) Typical Catalan cuisine, a fine terrace, garden and dining rooms. 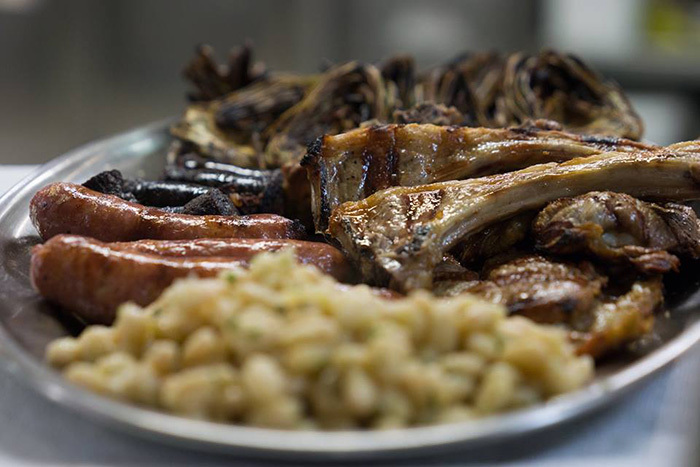 Only 10 minutes from Tarragona, it’s famed for its barbecued meats and calçotades. For €35 you get calçots with romesco sauce, grilled lamb and garnish, pork sausages and beans, crème brûlée and Penedès red or white wine. The best part is that you get to eat as much as you like inside huge wooden barrels that can fit up to 16 people at a time! 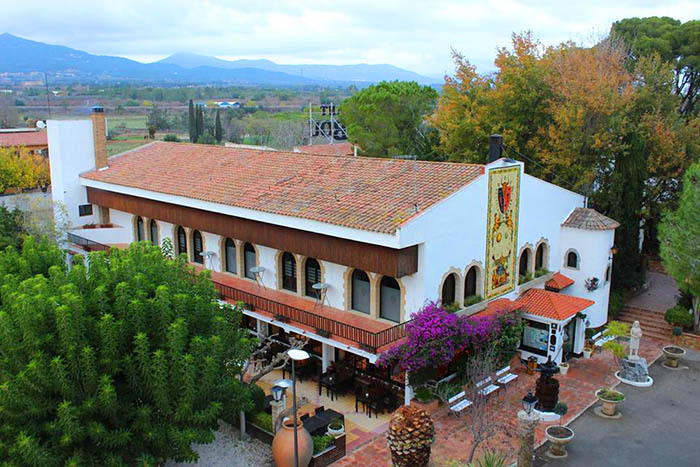 Coll de Nulles (km 16, Carretera de Tarragona–Pont Armentera, Nulles, Tarragona) An ideal rural setting for a proper calçotada, with terrace, children’s play area, its own wine cellar, group dining rooms and more… For €39.60 you get all the Valls calçots you can eat, homemade romesco sauce, longaniza and botifarra negra pork sausages with beans and grilled artichokes, curly endive salad, grilled lamb with homemade all i oli garlic mayonnaise, oranges, crème brûlée, wine, cava, water and coffee. Masía Bou (km 21,5 de la Carretera de Lleida, Valls) Experts in calçotades, with over 2 million under their belt! They also offer takeaway calçots for you to enjoy at home. They’ve been serving calçots to contented customers for over 100 years, so they must be doing something right! Restaurante Carmen (Carrer de Valladolid, 44, Barcelona) Very close to Sants railway station, this restaurant specialising in stone-grilled meat also offers a wonderful calçotada menu. For €30.90 you get your tile piled high with calçots and served with romesco sauce, all i oli garlic mayonnaise, barbecued mixed grill with baked potatoes and white beans, tomato bread, homemade desserts, coffee and a Catalan wine specially selected for the occasion. Hotel La Boella (Autovía T-11. Exit 12, Tarragona) If you want a calçotada for a special occasion, this is the restaurant for you! This former 12th-century Catalan farmhouse now houses a superb boutique hotel, surrounded by over 100 ha of olive groves and set in lush 6,500 m² gardens. For €45 you get to sample their exclusive cocktails, delicious calçots, barbecued meat (botifarra, morcilla del Perol and longaniza pork sausages, pancetta, lamb cutlets), baked potatoes and artichokes, white beans, pre-dessert and dessert, wine and cava. 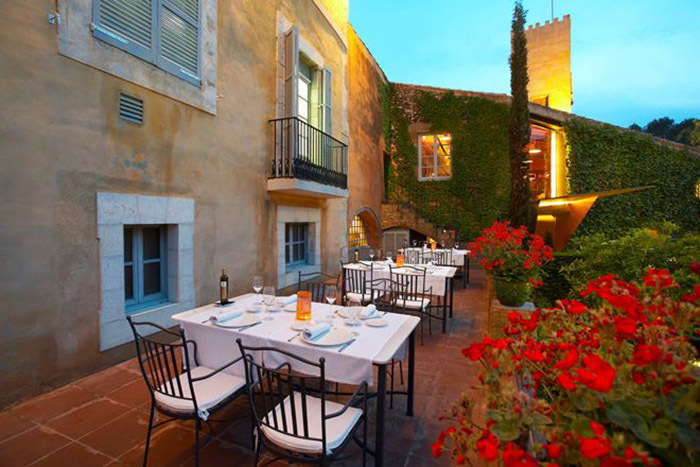 The tradition here is to have the aperitifs and calçots in the gardens before moving on to the barbecued meat in the sumptuous dining rooms. An exclusive calçotada that won’t disappoint.